NORTHERN Ireland’s Police Ombudsman Michael Maguire is to launch a legal action against Chief Constable Matt Baggott over the failure to provide information on major investigations including killings from the Troubles. The dramatic move follows long-running complaints over delays in the police supplying of documents and intelligence to investigators reviewing allegations of security force wrongdoing. The ombudsman is understood to have instructed former Director of Public Prosecutions in England and Wales Sir Keir Starmer to seek a judicial review of the police conduct. The police said they had met their legal obligations but had to balance the release of sensitive information with the right to protect life, a duty which it said it took “extremely seriously”. The dispute centres on recent and historic cases, but The Detail believes that the list includes the 1994 Loughinisland massacre, where loyalist gunmen killed six people as they watched the World Cup in a Co Down bar. In a statement to The Detail the ombudsman’s office said investigations into the circumstances surrounding more than 60 deaths “have now been stalled by a PSNI (Police Service of Northern Ireland) refusal to provide certain material”. Dr Maguire said: “The police have taken the view that they will decide whether or not to provide us with information and in many cases have now decided not to. The ombudsman’s office said that despite repeated requests over past months, the PSNI has on more than 100 occasions “either refused to provide information to the office or has said that it must first explain and justify why the material is wanted”. 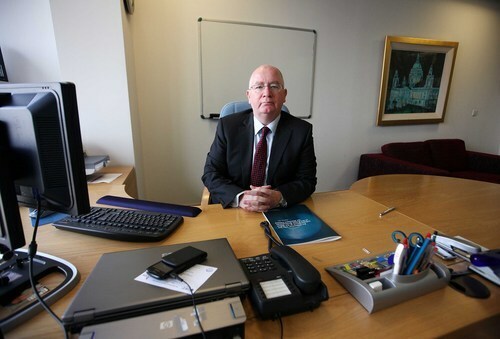 The ombudsman’s office said that Section 66 of The Police (Northern Ireland) Act 2000 states that the Chief Constable “shall supply the Ombudsman with such information and documents as the Ombudsman may require for the purposes of, or in connection with, the exercise of any of his functions”. In September last year the Police Ombudsman said it had also signed an agreement with the Chief Constable covering issues such as how requests will be made, how the police ensure they have gathered all the relevant information asked for and the covering procedures for the secure transfer of material to the Police Ombudsman. Dr Maguire described the legal action as unusual and unfortunate, but necessary. He said: “The many thousands of people who make complaints to us every year do so on the basis that we have access to all the police information we need to independently investigate their complaint. A police spokesperson said: "The PSNI has a legal responsibility for the care and management of all information that it holds- this is a responsibility which must be taken extremely seriously. At the same time the PSNI also recognises the statutory responsibility to provide information to the Police Ombudsman, enabling exercise of his functions and legal responsibilities. “Police are currently seeking to agree a solution with PONI around these complicated, and sometimes unfortunately competing, legal issues. We will continue to fulfil our legal obligations with the primary consideration being that of protecting life in accordance with Article 2 of the European Convention on Human Rights. The ombudsman’s office said that the legal action is in the form of a Judicial Review which seeks to compel the PSNI to provide the Police Ombudsman with information he requires to allow him to carry out his functions. Concerns have been repeatedly raised over the level of assistance provided by police over controversial killings from the past. Last month The Detail revealed that Northern Ireland’s most senior coroner had launched an unprecedented attack on the failure of the British government and Department of Justice to properly resource investigations into the killing of nine men in Co Armagh 30 years ago. Senior Coroner John Leckey’s office wrote to Justice Minister David Ford claiming that inquests into the IRA killing of three policemen and subsequent RUC shooting of six men in Co Armagh in 1982 are being “funded on a drip feed basis” with “no demonstrable commitment” to ensure that they are properly resourced. The letter as also critical of the PSNI’s attitude to disclosing sensitive material to inquests, which it said was “driving up costs”. The police have previously outlined the difficulties in releasing sensitive information. :: Click here to read The Detail’s previous investigations into the handling of the Loughinisland massacre.